I had a great time at the Push/Pull Gallery chatting to folks. 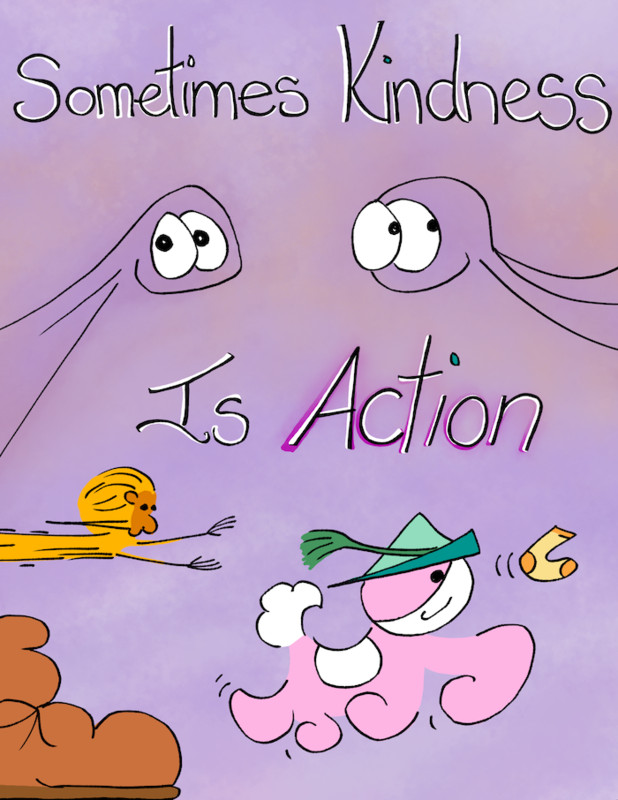 I love that my new collection has a colored and remastered version of K is for Kind and it putting it in front of people made me want to really make explicit what kindness means to me. It’s pretty hard to break even at a show when you’re starting out if you factor in all the costs. Booth fee, printing costs etc. Often I find I think of the cost as either printing costs OR booth fee (aka I need to sell x comics full price to break even on printing costs, I need to make x money to get my booth fee back). When you put the two together it can feel pretty grim if you’re still figuring out price points and what you need to do, EXCEPT! And this is a huge EXCEPT. You get to chat to awesome new people and be inspired by them, you get to be part of a conversation that is nourishing, infecting the world with activist kindness, being infected by other people’s experience and radness, one conversation at a time :-). I’ve done three booths in America now. The first two with Scary White Girl Design and this third one solo. The first show I sold NOTHING! The second show, THREE things. This third show, SEVEN things. Each time I’m learning something, trying something and every time I get to chat with great people. I think I’m going to try square photographic glossy prints next! Hooray for trying things, reflecting, listening, trying again (science!). So this is a long way of saying this is an art I drew at the Push/Pull, would most definitely do it again, onwards and upwards! And wow! My Patreon (a place where you can support me to make art in the most powerful and direct way) is almost a week old and as you can tell I’m a little bit bubbling over with it! There are updates that anyone can check out and some special content that is only available for Patrons (thus far powerup playlists, early content, concept sketches). Liz at Patreon.